Healthy weight loss should be gradual, at a rate of no faster than 2 lbs. per week. The Weight Watchers program adheres to this rule, producing an average weekly weight loss of 1 lb. to 2 lbs. per week. However, a variety of factors can influence your personal weight loss. Understanding weight loss and the Weight Watchers diet can assist you in determining what to expect at your first weekly weigh-in. Always remember to consult your physician before embarking on any weight-loss program, including Weight Watchers. Fat loss is simple: burn more calories than you consume and your body will shed fat. However, weight loss is more complex. Weight is simply the force of gravity and is measured on a scale. You'll likely see a weight gain if you step on your bathroom scale in the morning and then weigh yourself again, two hours later after eating a large breakfast and drinking a few glasses of water. However, the weight gain will simply be due to the weight of the food and water in your body. The opposite is also true; if you weigh yourself and then sit in a sauna for 20 minutes you'll weigh less due to perspiration. Due to a myriad of factors, it is best to weigh yourself at the same time of day once per week while wearing the same type of clothing. According to "Handbook of Obesity Treatment" this produces the most accurate weight loss log. 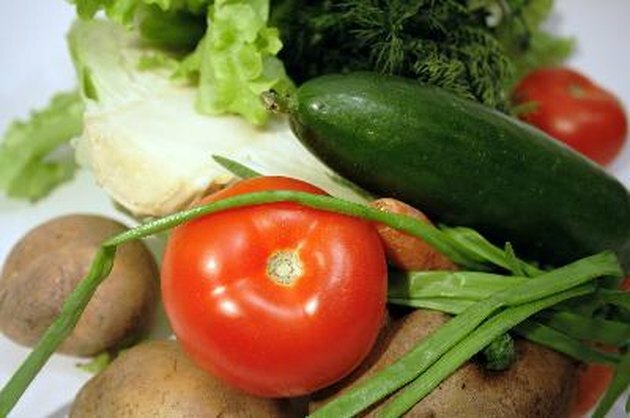 Many people lose more weight their first week on a diet than in following weeks, says "Handbook of Obesity Treatment." This is mostly due to water weight loss, generally caused by reducing sodium consumption and increasing water consumption. Reduced levels of glycogen can also lead to an initial weight loss if you previously consumed a high-carbohydrate diet and started a diet permitting a low or moderate carbohydrate intake. Weight Watchers produces weight loss by helping you reduce how many calories you consume. No foods are off limits on the Weight Watchers diet. Instead, all foods are allowed in moderation. However, according to "Weight Watchers She Loses, He Loses: The Truth about Men, Women, and Weight Loss," the plan is designed to provide an incentive to choose low-fat, high-fiber foods. These foods are often unprocessed and low in sodium. Therefore, many Weight Watchers dieters lose 2 lbs. to 4 lbs. their first week on the diet, according to "Weight Watchers Weight Loss That Lasts." Weight Watchers is a diet program designed to teach you how to eat in moderation to gradually lose weight and maintain a healthy body weight. Success on the Weight Watchers diet is determined by your long-term commitment to the program, according to "Weight Watchers Weight Loss That Lasts." Try not to worry too much about your weight loss during any single week, including your first week on the plan. Instead, focus on making healthy food choices and remember that weight loss is a lifestyle change.